Using one of our Oro-Medonte's landscapes as inspiration, the student will explore the unique qualities of soft pastel, it's brilliance and sketchy feel. The student will be taken through all the steps necessary to produce a competent 'works of art' from the initial composition, to the mid application of local colour, and finally the details and highlights. 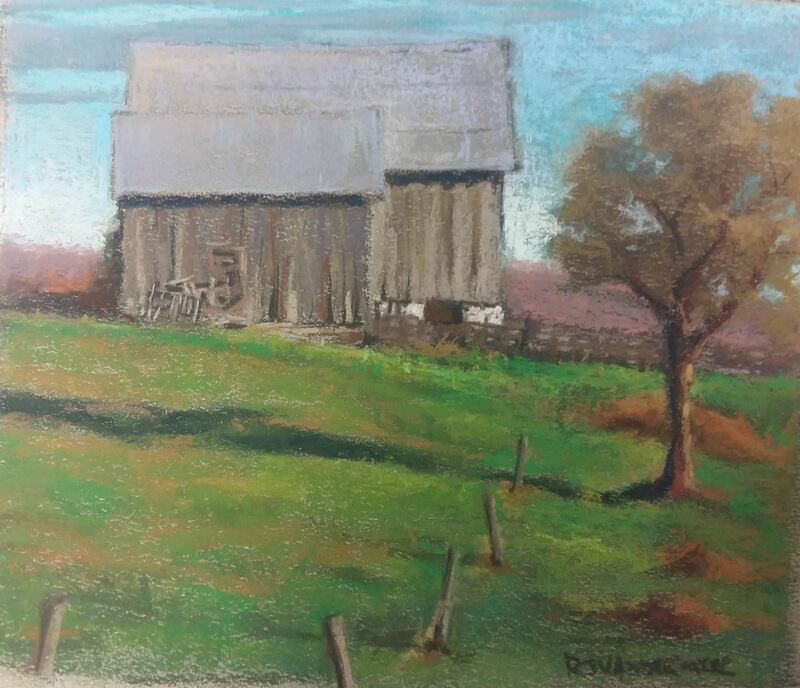 Born in Barrie in 1958, Richard has been painting and drawing since he was ten years old, developing his abilities on a self-taught basis until enrolling in the Fine Arts Department at the Ontario College of Arts four year program. Since graduating in 1990, Richard has since opened and operated a small business in Orillia, Ontario. Richard's work was chosen to be in a movie 'Where the Heart is', filmed in Toronto, and commanded the highest price in a charity silent auction held at the Ontario College of Art in 1989.